If you are ready to lift a full house or building, you can make it your own, but be sure to find a vacant lot first. Lift and carry full houses and office buildings are the latest offering of Princeton University as it tries to clear a portion of the campus for a new project. At Alexander Street in Princeton, New Jersey, houses are being given away for free “as-is condition” before they get demolished to make way for a new onsite construction, Princeton University spokesperson, Mr. Martin Mbugua, told ABCNews.com. He noted that although there is yet to be deadline for proposals to get a hold of the houses, there had been several interested people willing to remove the houses to make way for an Art and Transit project in Princeton. 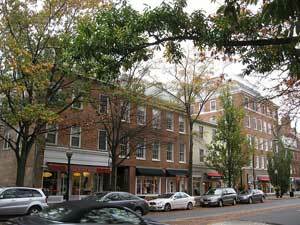 Alexander Street along Princeton’s busy academic scene would see the construction of a new train station and other commercial retail spaces, and common public places in Princeton. He, however, does not guarantee that the state of the houses are still intact, some interior work need repairs.